Peter Stewart’s practice encompasses a wide variety of intellectual property matters. Peter has extensive experience preparing and prosecuting U.S. and international patent applications. His array of technical experience includes optical fibers, optical-fiber cabling, semiconductor devices, microwave instruments, software, mobile devices, business methods and consumer products. Peter has experience conducting and overseeing freedom to operate investigations and providing analysis of patent infringement and validity issues. Peter prepares and negotiates complex license agreements, software-as-a-service agreements, and other technology related agreements. 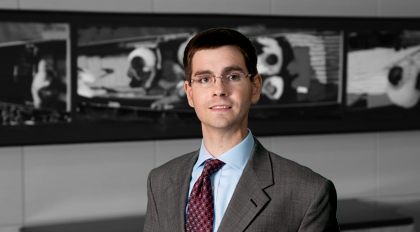 Peter also has experience handling intellectual property issues related to a variety of debt and M&A transactions. As part of these transactions, Peter prepares and negotiates intellectual property and regulatory compliance provisions. Peter also performs intellectual property due diligence related to these transactions, including performing searches for intellectual property assets/collateral; reviewing prosecution history, chain of title, litigation history, and other matters that may impact the value of intellectual property assets/collateral; and analyzing material licenses and other commercial agreements to assess a range of issues, such as the scope of license rights, transferability, and termination provisions. Before practicing law, Peter studied computer engineering at North Carolina State University. While at North Carolina State University, Peter completed numerous design projects in conjunction with the Electrical and Computer Engineering Department.